Dark House Press, 9781940430577, 300pp. In this haunting and hypnotizing novel, a young woman loses everything--half of her body, her fiance, and possibly her unborn child--to a terrible apartment fire. While recovering from the trauma, she discovers a photo album inhabited by a predatory ghost who promises to make her whole again, all while slowly consuming her from the inside out. Damien Angelica Walters' work has appeared or is forthcoming in Year's Best Weird Fiction Volume One, Nightmare, Strange Horizons, Lightspeed, Shimmer, Apex, and Glitter & Mayhem. She was an associate editor of the Hugo Award-winning Electric Velocipede. 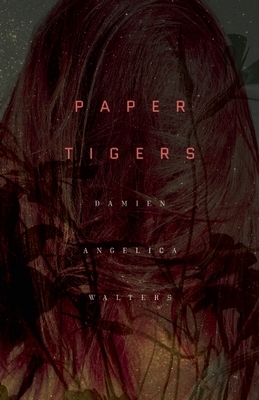 Damien Angelica Walters' work has appeared or is forthcoming in various magazines and anthologies, including Year's Best Weird Fiction Volume One, Nightmare, Strange Horizons, Lightspeed, Shimmer, Apex, Glitter & Mayhem, Not Our Kind, and What Fates Impose. Sing Me Your Scars, a collection of her short fiction, will be released in early 2015 from Apex Publications. She's also a freelance editor, and until the magazine's closing in 2013, she was an Associate Editor of the Hugo Award-winning Electric Velocipede.